When is a steak too big for the sandwich? 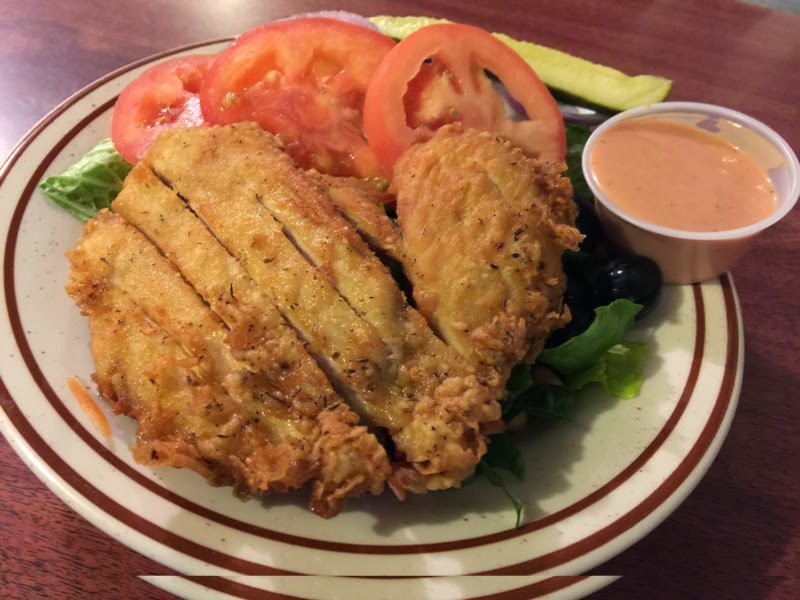 When it's the steak sandwich at Al's Place in historic Locke, California. Read my full review with pictures after the break. 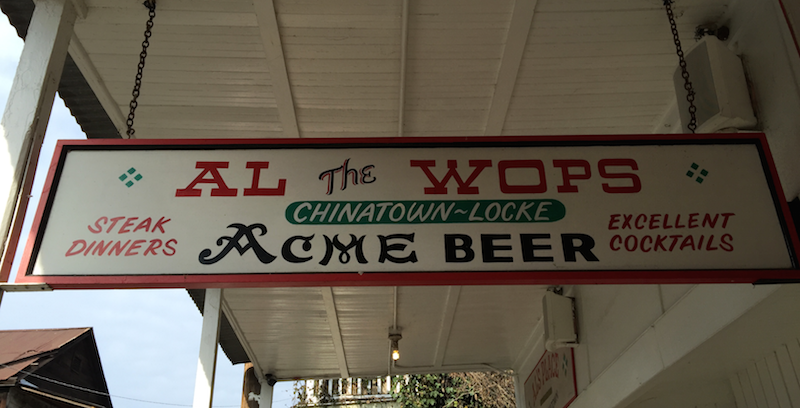 Al's Place (formerly and still known as Al the Wop's) is about half an hour south of Sacramento in the town of Locke. The entire town of Locke is a historic district, and the buildings date back to 1915 when a group of Chinese businessmen relocated from nearby Walnut Grove. Read my review of Locke. On the hot summer weekends, Al's Place gets very busy and its bar is boisterous and loud. But on a weekday in January, we nearly had the place to ourselves. I wonder how hard it is to get your dollar bill stuck to the ceiling? The steak sandwich is not really a sandwich anymore. It started off that way, but long ago Al served such a large steak that it was easier to eat by itself than to sandwich between the slices of bread. You still get the grilled sour dough bread, and each table has a jar of Jif peanut butter and orange marmalade to enjoy with it. 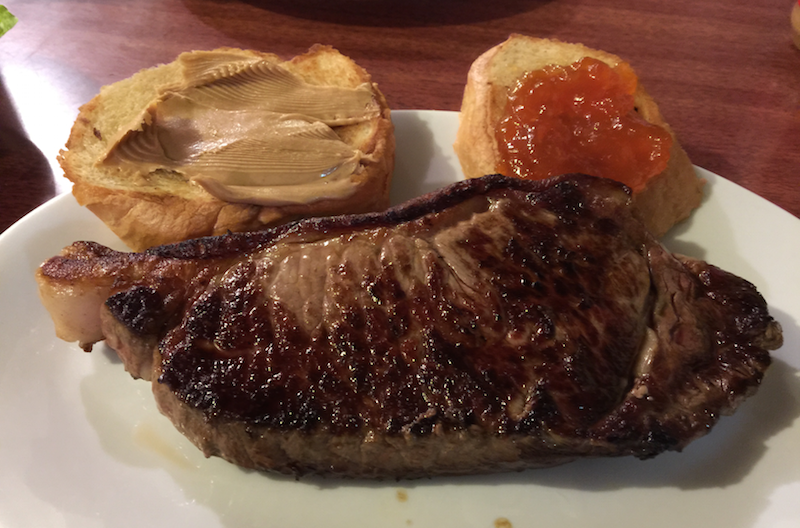 Naturally, I had to try a bite of steak with the peanut butter and it was really good. Al's might be able to get away with a mediocre steak given the popularity of its bar, but thankfully the steak was very good. Cooked exactly as I ordered it and served hot off the grill. A salad is included with the steak and bread. My friend had the chicken sandwich. Like the steak sandwich, the meat is too large for the bread (which is served on the side). He said it was very good. 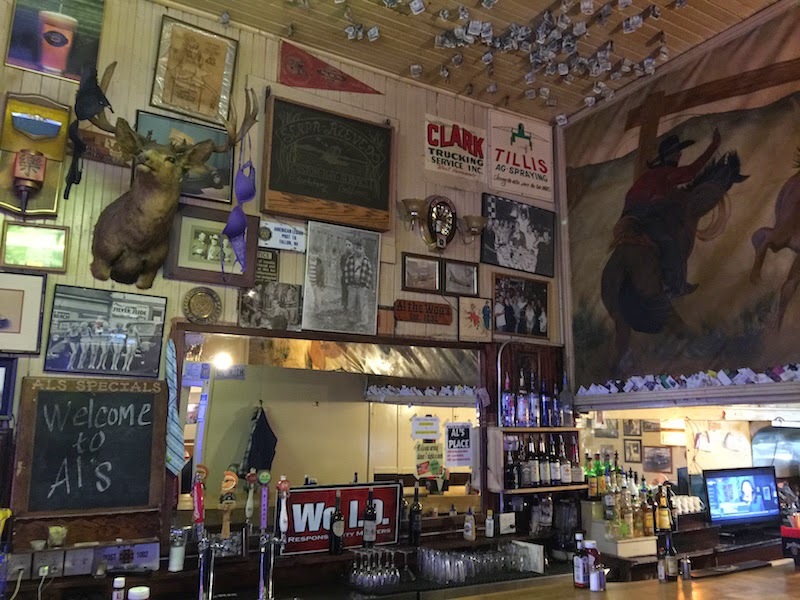 Al's Place makes for a fun visit and a hearty meal with a lively bar thrown in to top it off. TIP: Give yourself an hour or so to stroll around historic Locke. (Read my full review of Locke.) The entire town is a historic site and the buildings are very interesting to look at. There is a museum you can visit as well.